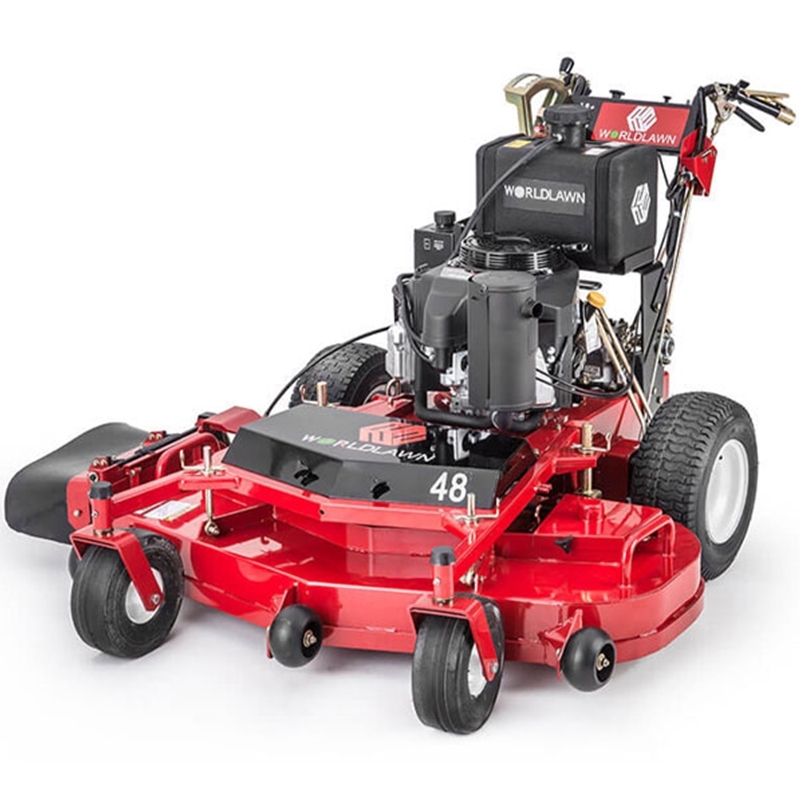 Available in 32" deck with Honda Engine, 36" and 48" deck with Kawasaki engine options the all new 32", 36",48" walk behind mower offers a 3 speed forward transmission for the 32" deck and a 2-Hydro- Gear pumps transmission for the 36" and 48" deck. The new 32" , 36" and 48"walk behind holds hills better, mows faster, and is more durable to surpass all expectation of a residential walk behind mower. The 32", 36", 48" walk behind mower has a ergonomically designed hand grips and controls promote ease-of-use and operator comfort and has a cut quality to rival Toro and Exmark. It also comes with a limited 10 year deck warranty. Height of Cut (in.) 1.5"-4"